Whoever said studying accounting and bookkeeping wouldn’t give you “real life” experience! Did you know when studying our Online Certificate IV in Accounting or Certificate IV in Bookkeeping, Monarch provides you access to a state-of-the-art learning management system? 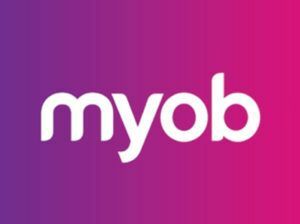 First, you will be given access to the MYOB student edition accounting software. Our comprehensive Online learning resources provide you with easy-to-follow steps to learn MYOB in your own time and in your own way. And if you have any questions, your dedicated Online expert trainer is only a phone call or email away! So what is the “real life” experience we are alluding to? Well our Online assessment platform gives you two fictitious companies to provide bookkeeping and accounting services to – one is a speciality sport store and the other is an electronics retailer. You will be given the equivalent of a month’s transactions for each business and you need to use MYOB to process the transactions for one business and ‘old school’ Online ledgers to process the other business transactions. Of course, if you have ever done bookkeeping or accounting, you would know one tiny error will mean nothing ever balances. To put it mildly it is very annoying! The good news is this is a thing of the past when studying with Monarch. This is because our Online platform recalibrates any errors you make each fictitious week. You still know where you made an error and it is still reflected in your mark. However, at the end of each fictitious week, our Online platform automatically recalibrates so that errors you have made “last week” don’t flow through. Phew! Our students using our Online assessment system absolutely love the instant feedback and also the pleasure of not having previous weeks errors corrupt future weeks in terms of balancing things. Don’t hesitate to contact one of our friendly course consultants on 1300 738 955 to discuss any questions you have about becoming a Registered BAS Agent or completing the education component through our Registered Training Organisation.